With CS 3000 milling machine, one-appointment restorations are the new reality. Combining high speed and precision (± 25 µm) to ensure beautiful crowns with smooth surfaces, the CS 3000 is ideal for single tooth restorations and supports a wide range of applications. - Single-Visit Restorations: Eliminating the need for temporary crowns and multiple appointments, dentists using the CS 3000 can complete restorations in as little as one hour. Single-appointment restorations save patients time and improve patient acceptance rates and satisfaction. - Precise Milling: The CS 3000 features a 4-axis brushless motor that produces high-quality restorations with +/- 25 µm accuracy. The unit’s high-speed and vibration-free milling ensures smoother surfaces for more durable results. The average milling time for a crown is less than 15 minutes. - Robust Technology: The unit’s sturdy and robust design provides high torsion resistance with minimum deviation to ensure precision milling, even after years of use. - Versatile Indications: The CS 3000 mills single tooth restorations covering everyday needs (full crowns, inlays and onlays) and uses industry standard all-ceramic, hybrid ceramic and resin-based materials. 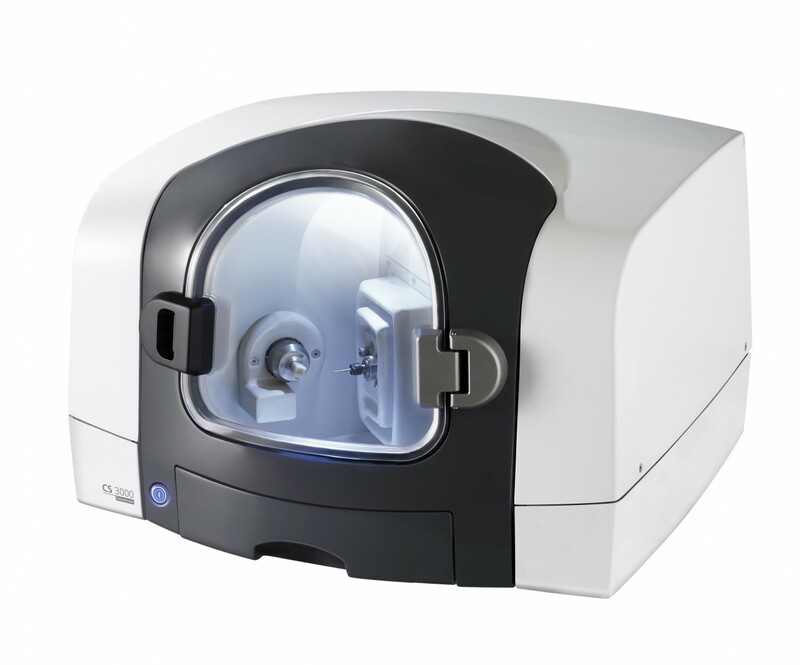 The CS 3000 is already VITA certified to mill VITABLOCS Mark II blocks (monochromatic feldspar ceramic blocks). - Simple To Use: The CS 3000’s intuitive user interface and computer-controlled system make milling quick and simple, with minimal operator intervention required. The machine’s user interface provides clear instructions, milling status and error messages so any team member of the practice can start using the system with minimal training. - Multicase Capable: With the CS 3000, there’s no need to wait until a restoration is completely milled to capture new digital impressions, design additional restorations or place other cases in the milling queue. - Digital Impression Options: The CS 3000 offers versatile digital impression options, providing practitioners with greater flexibility. Dentists can use the CS 3500 intraoral scanner to scan a patient’s teeth directly or a Carestream Dental CBCT system (CS 9000 3D or CS 9300) to scan conventional impressions. - Compact and Quiet: The CS 3000 can be placed anywhere in a practice with no need for compressed air, a water supply or a drain. Thanks to its quiet milling, the CS 3000 can even be used chairside. - Easy to Maintain: The CS 3000 requires minimal routine maintenance. A debris and water collection tray keeps the milling environment clean, and the system’s software indicates when the water, bur and filter need to be replaced. Click the button below to add the Carestream CS 3000 Milling Machine to your wish list.